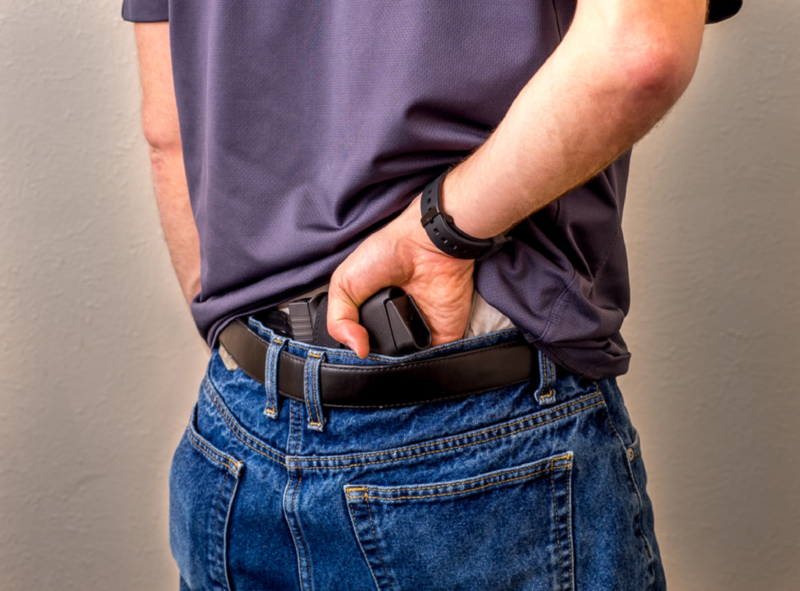 Experienced and new concealed carry holders alike are subject to a variety of major mistakes. 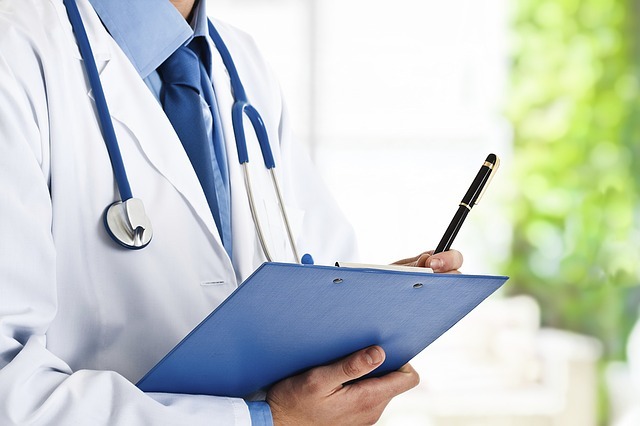 When we do consultations with top industry professionals we can still find 5 or more of these mistakes they are making. Take a look and let us know what we forgot in the comments below. You have not been deputized and don't have an obligation to put yourself in harms way in order to stop petty criminals. Let the police do their job and you do yours! It is good to help others and protect life but learn where to draw the line. It has been soo long since I saw you last. You are so awesome! Oh … ah, that thing you just felt on my lower back or hip was… nothing at all!! 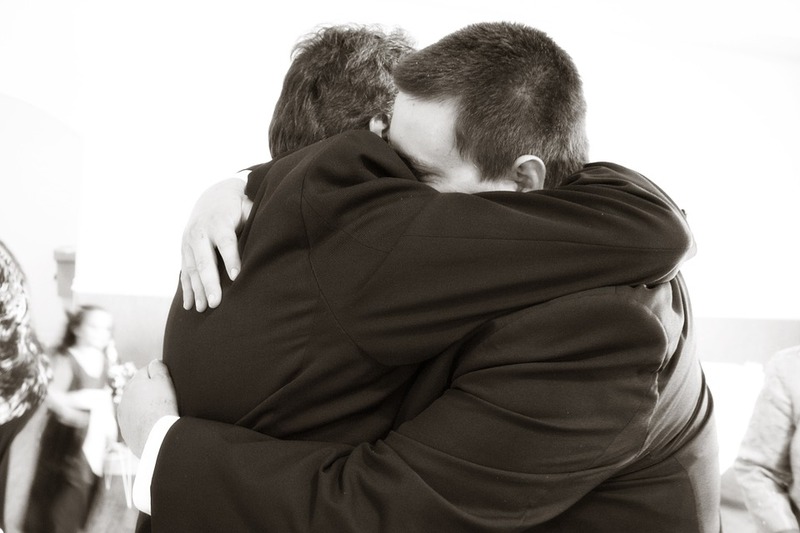 Hug in a way people can't feel your gun! Complacency is almost an inevitability when you put enough hours into firearm handling. Don't dismiss it as something that can't happen to you. 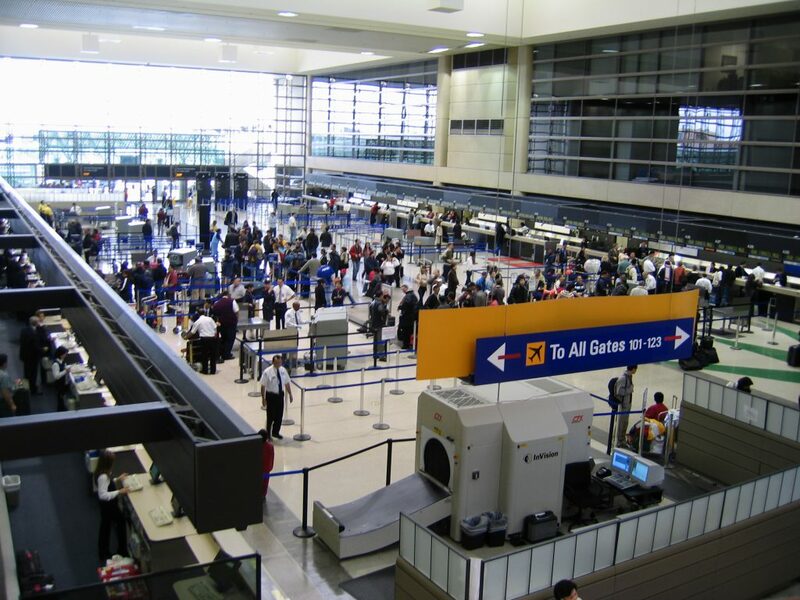 It sounds like something you would never do but yet the TSA confiscated over 2500 firearms last year. That is a lot of people who make that mistake of keeping your gun in your luggage. It isn't like those guns are very valuable or anything … plus if the lock takes some time to open that is ok right? Buy a better safe. Every day carry is tough. You probably tried it for weeks, months, or even years but now you don't carry anymore. The world isn't getting safer and you need to remember why you started this journey to begin with. 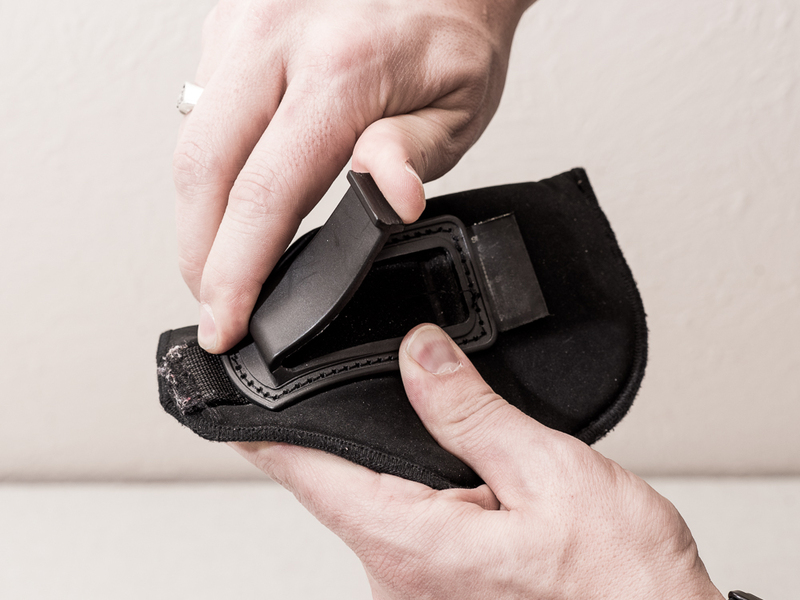 Holsters serve to make the firearm safe, secure, and available. These 3 things are of utmost importance and trusting them to a foreign made piece of junk isn't a good idea. Here are the top 21 holsters. 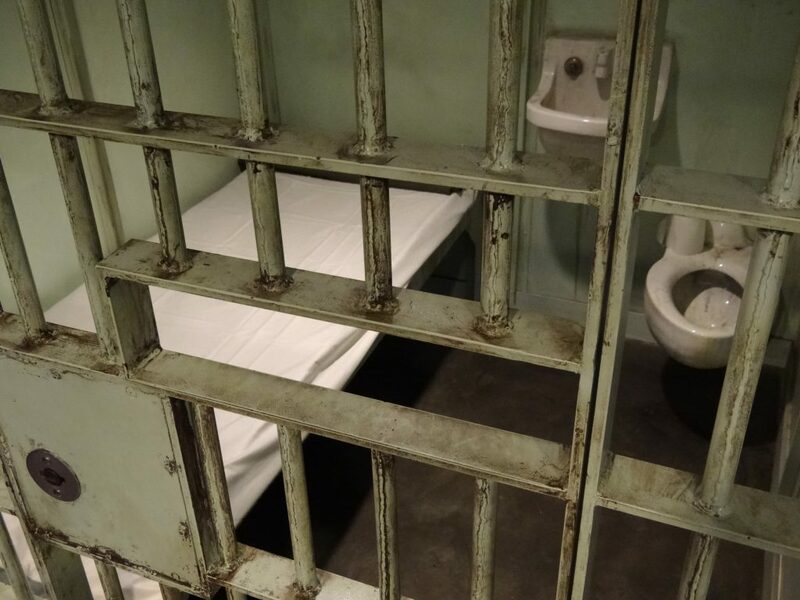 From the jail is the wrong place and time to be picking your attorney out of the yellow pages. 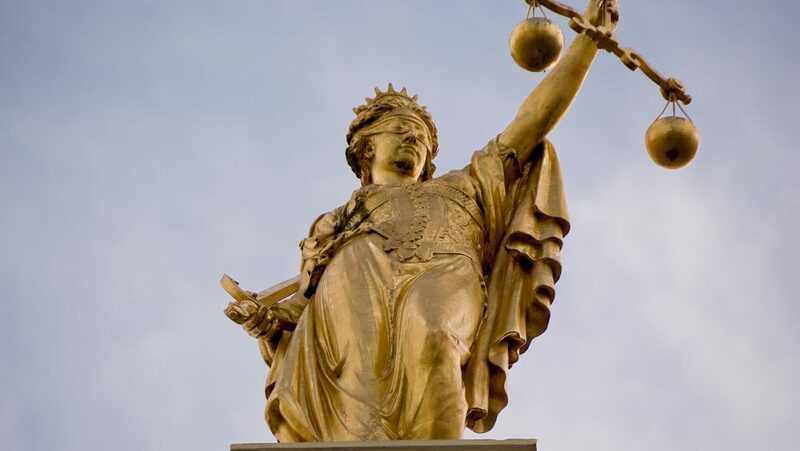 Pick out the right attorney while you still have time and energy on your side. If you think the first class gave you all the knowledge and experience you need you are sorely mistaken. Make sure you get more, advanced training, and train regularly. Ammunition does have a shelf life. Don't let those defense rounds or any other rounds sit for too long. Rotate ammunition like you do your food storage. You have food storage right? Guns are not one size fits all. The best gun for home defense isn't the best gun for concealed carry and neither are likely ideal for back country hiking. Do you have any idea how expensive a decent attorney is? 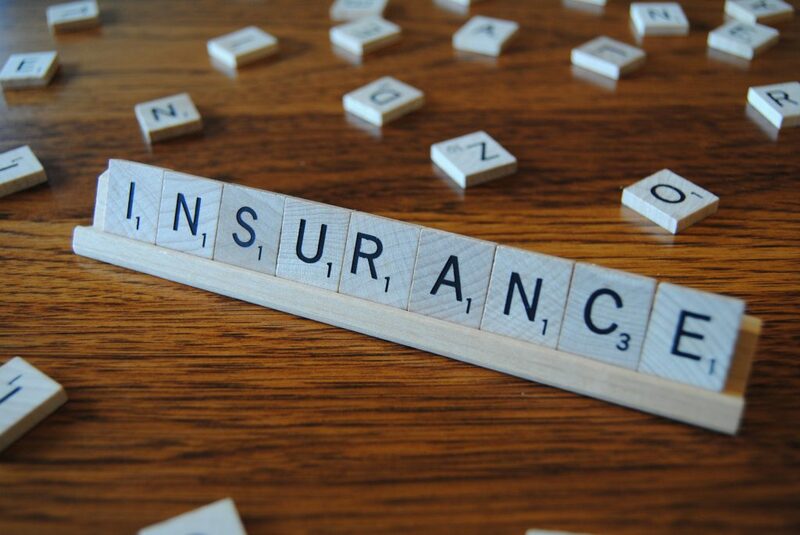 There are programs out there that will help you cover the cost but you should be a member BEFORE the incident occurs. 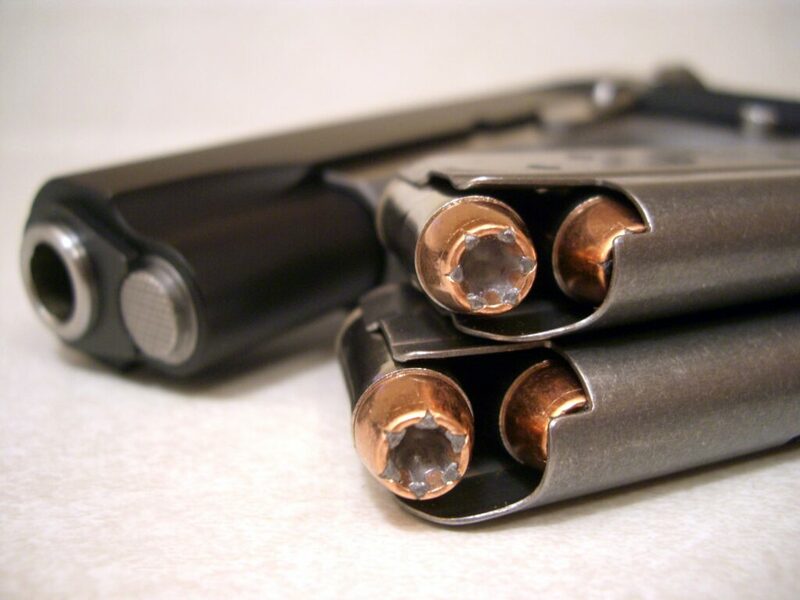 The absolute number 1 mistake of permit holders is not carrying the concealed gun to begin with. 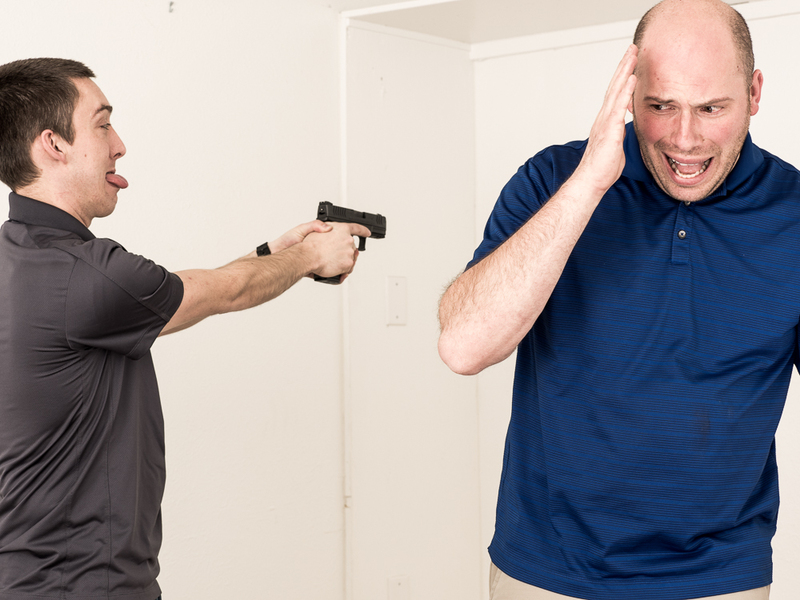 If I had to guess, only 5% of my past concealed carry students actually carry a firearm daily. This is tragic. 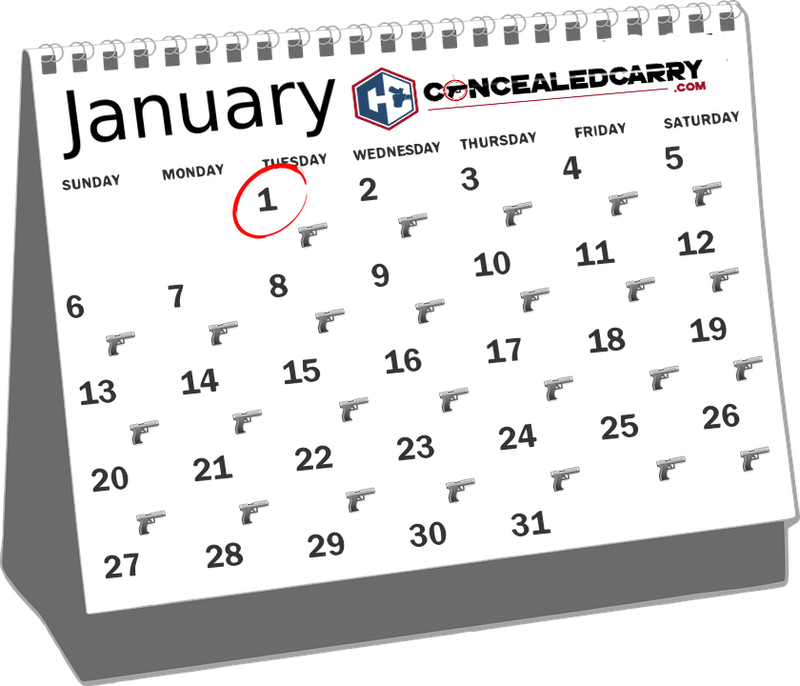 If you are among those that don't carry every day it is time to re-commit. 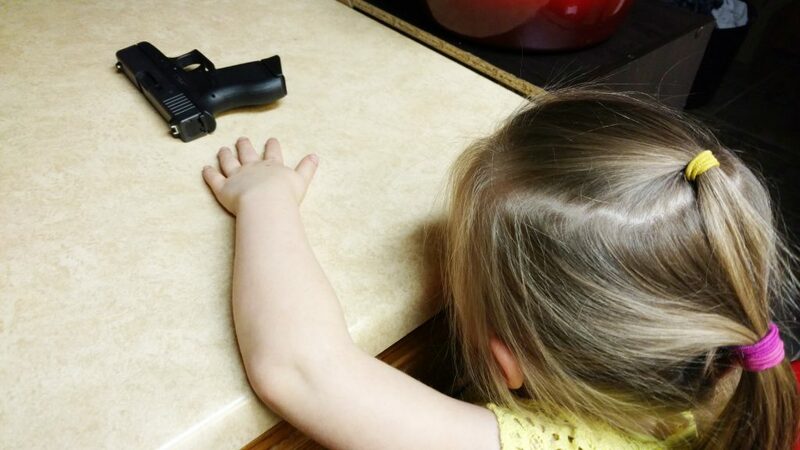 You may think you are doing the right thing by hiding guns and avoiding the conversation all together but those actions can and likely will drive the child to experimentation and unsafe exploration at their first opportunity. Replace curiosity with education, knowledge, and experience. Your friends, family, and buddies may be the most difficult to call out but can you afford to ignore those things that make everyone less safe? Call them out and expect that they will do the same for you. The key here is to figure out what your firearm will tolerate. 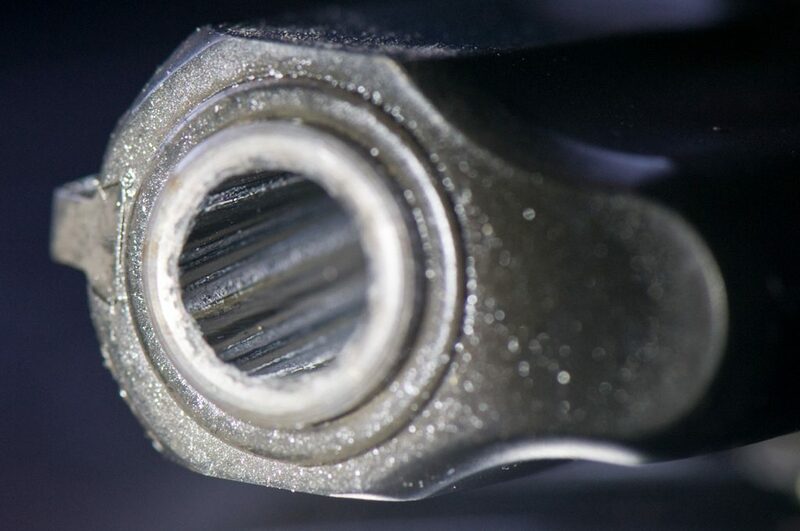 Some guns are more particular than others and you don't want to be buying and using ammunition that causes a lot of malfunctions in your firearm. Don't buy cheap ammo. The best place to clean your gun is at the range right after you fire it. If you don't have that option then look for a place that has an optimal “safe direction” and always maintain and clean that gun in that place with the muzzle facing the safe direction. 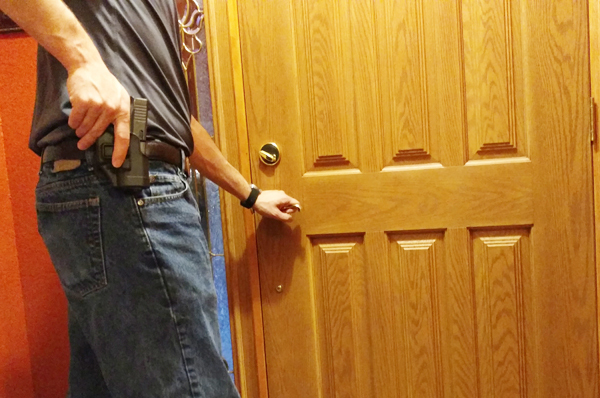 The number one place where you are likely to need that firearm in self-defense is in your own home. There is a 1 in 197 chance that you will experience a home invasion this year. Why would you put the gun away when you come home? Carry your gun at home. If you fire 10 different guns you are likely to find a favorite … but would it still be your favorite if you had fired 50 guns? Its worth trying as many as you can before you bet your life on it. I doubt you forget to put on your safety EAR wear … but eyes are just as difficult and expense to repair in surgery. 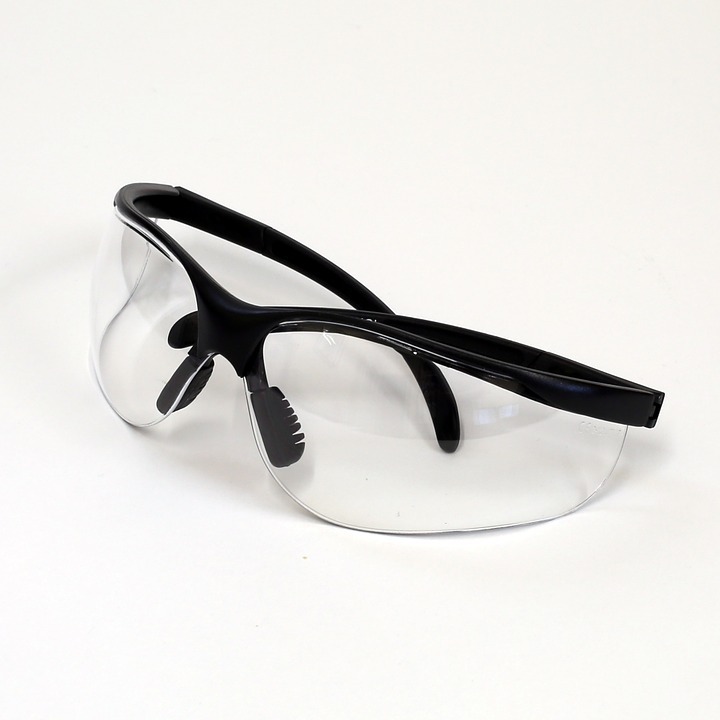 Vulnerable from power blow back, ejected shells, and ricochets around you; the eyes need great protection. Get some eye protection, here. 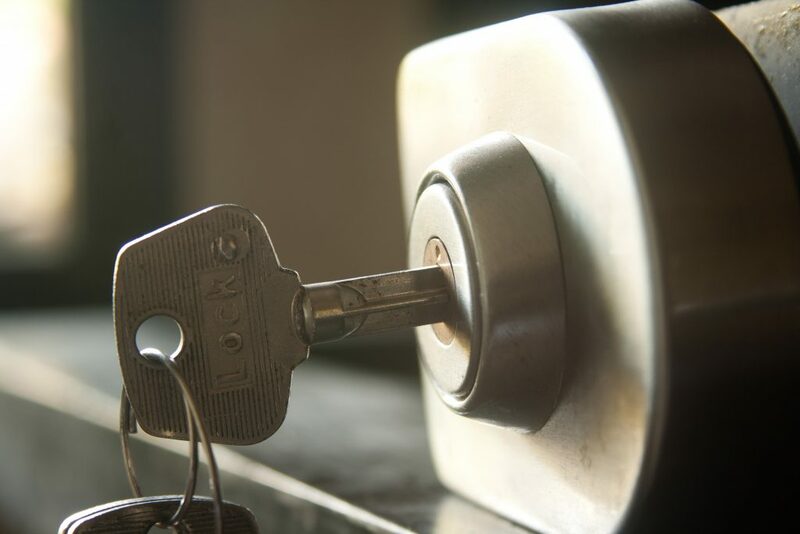 During the middle of the night when you have an intruder do you want to be looking for a key or trying to carefully spin the dial on a padlock while your adrenaline is pumping and time is critical? 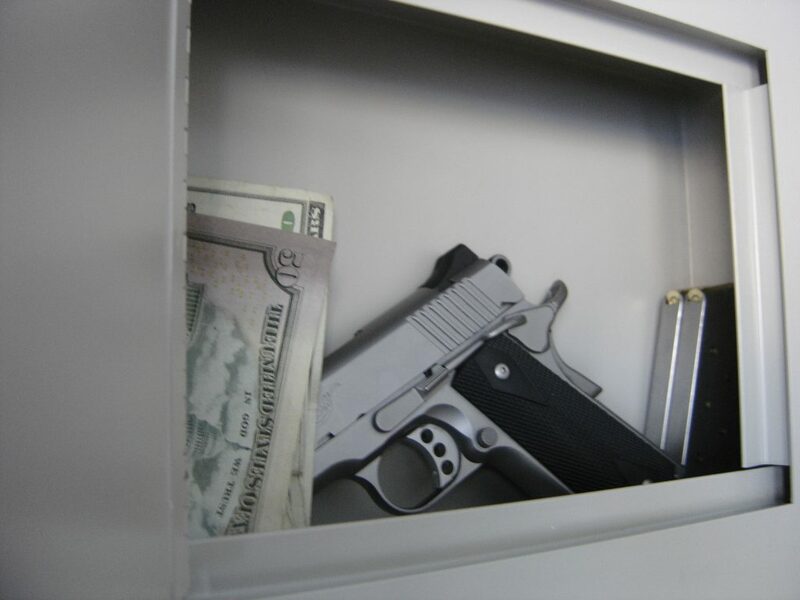 Get a quick access gun safe. 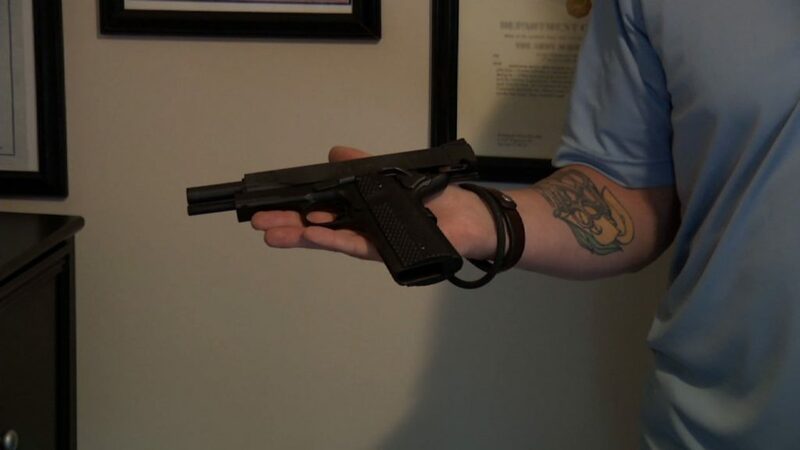 It defeats the purpose of a gun safe if an intruder can just pick up the safe and carry it out your front door to open later with a welding torch. You can practice pulling a trigger and hitting center target until you a blue in the face but unless you also train the draw, grip, stance, reload, malfunction clearing, etc you aren't really prepared for the encounter. 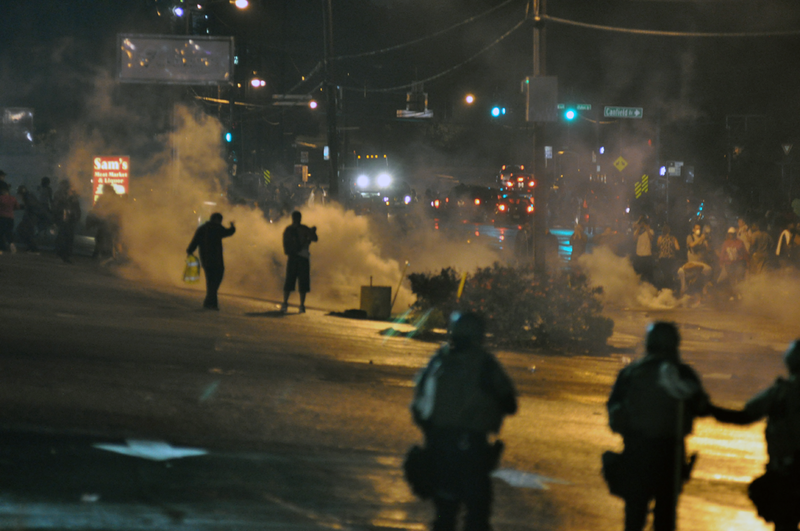 Depending on what research you believe, average deadly confrontations take place in 3-10 feet or less. Putting that target out to 15 meters (45 feet) is impractical and probably not a great use of your training time or resources. 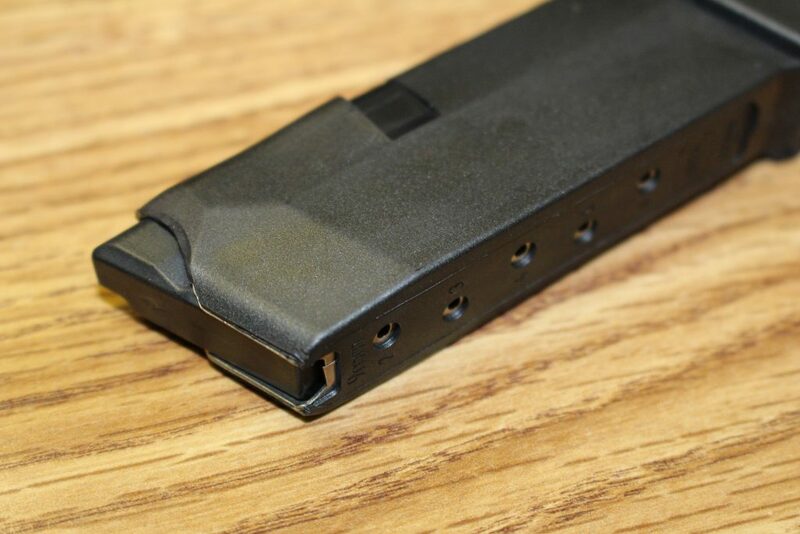 There are several reasons why you don't want to have the muscle memory of emptying your magazine just because … chief among them because you may have multiple attackers. 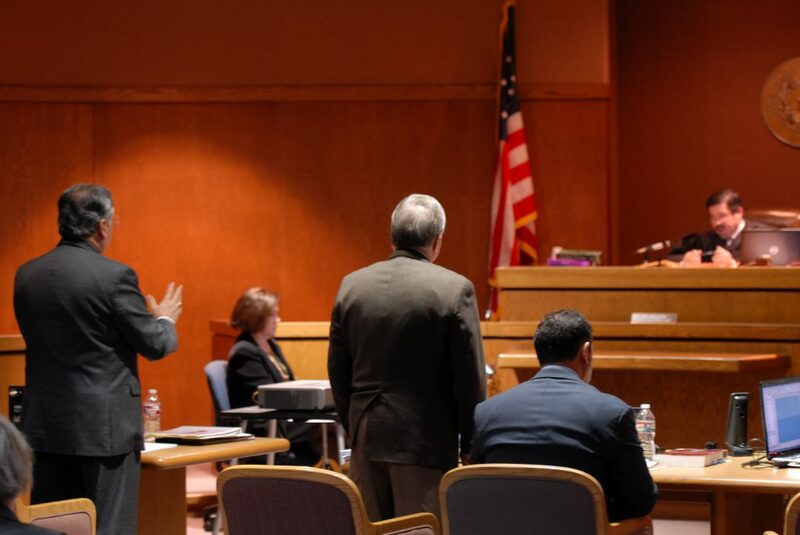 The law is up for interpretation and only after the incident occurs, and through the paradigms of two arguing attorneys in consideration of presented evidence, does a jury of 12 peers decide what it means for you that day. Justice is blind as they say. Learn your gun laws. Lets face it; carrying concealed just isn't fashionable. 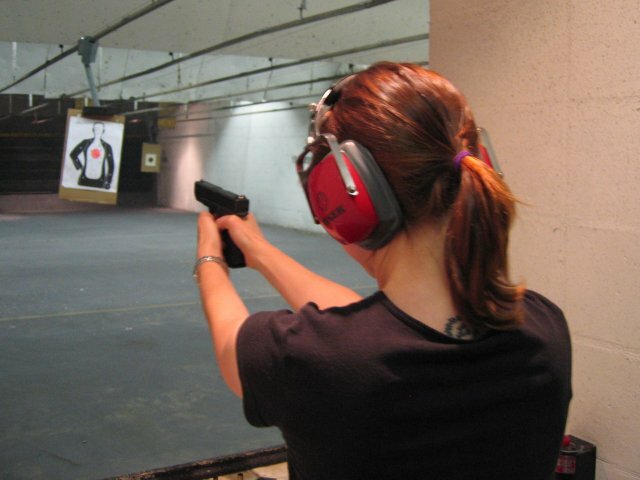 Start by valuing the gun over the style and work around the “self-defense” tool first. Yes, there is a 1-2 pound thing on your body that wasn't there before. It's tempting to keep checking on it and making sure its still where you left it … but it's a bad habit that you need to get rid of early on. 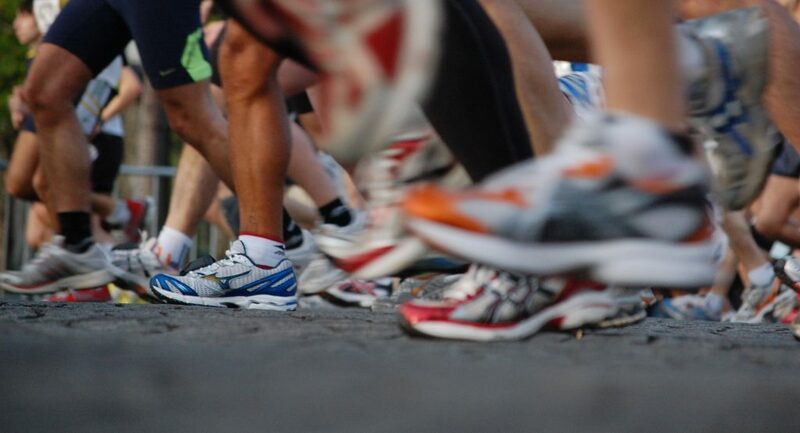 How often should you be training? More. Click here for our best article we found about how often to train. The laws change … a lot. 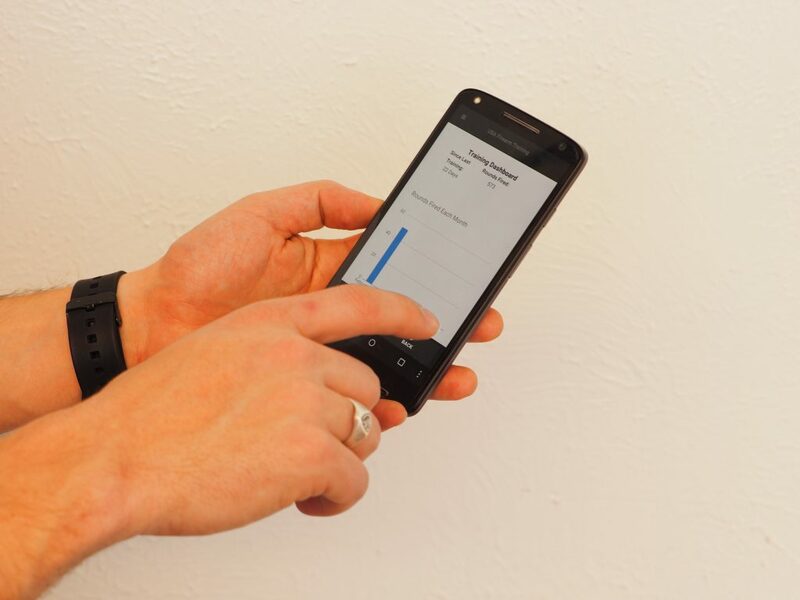 Are you up to date with the latest changes? 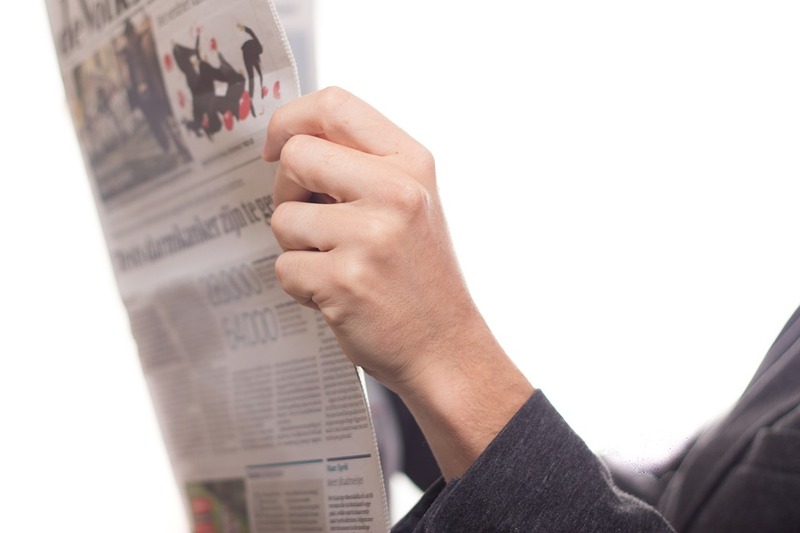 Stay close to the news, your gun club, and your instructor for updates. Also check our reciprocity map on a regular basis. 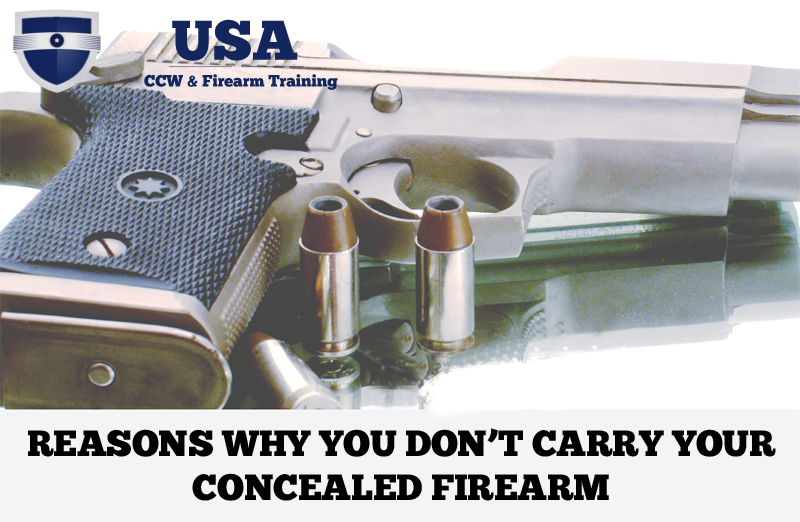 There are a number of important factors to consider when selecting the right concealed carry handgun and you might need more than one. 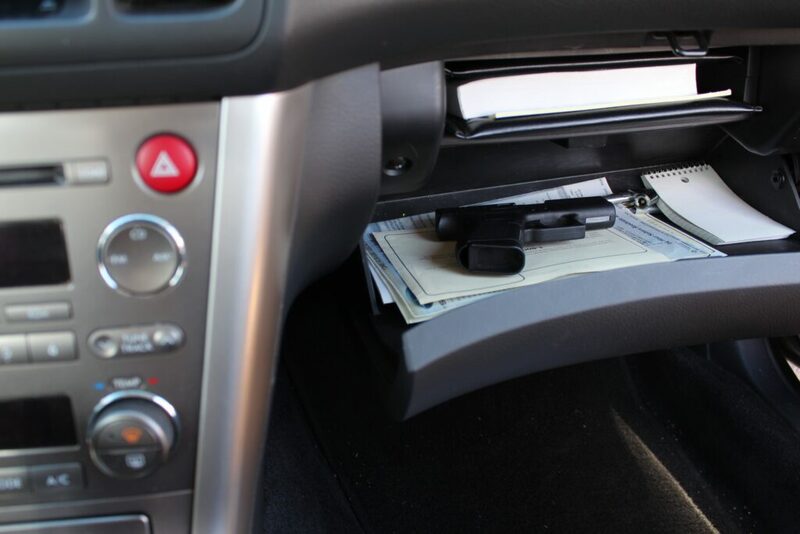 There are some things that are just not safe to do when you have your concealed firearm. 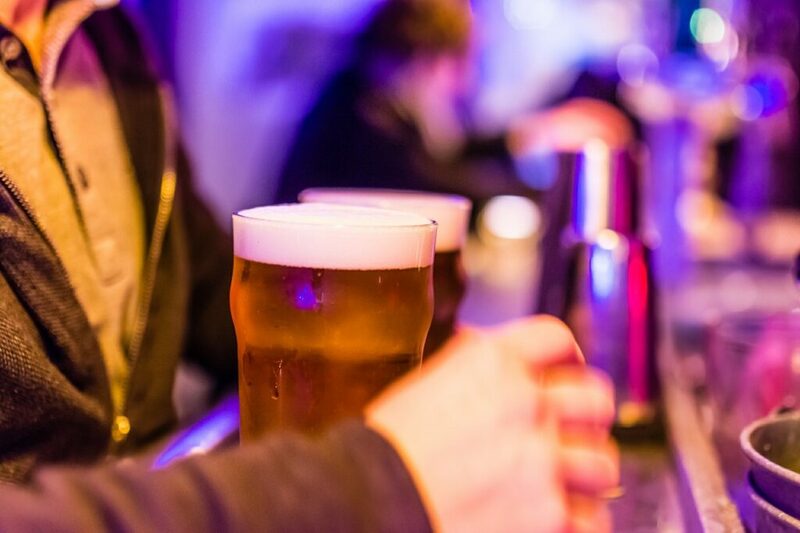 Sports, clubbing, exercise, and wrestling with your kids come to mind. 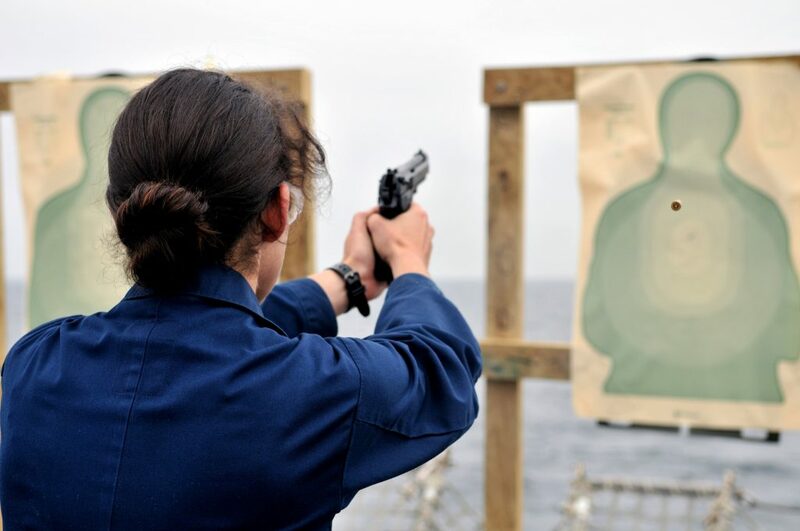 If you carry different firearms on a regular basis then you need to be training with each of them. It can be really difficult to create strong muscle memory if you don't wear the same holster each day. 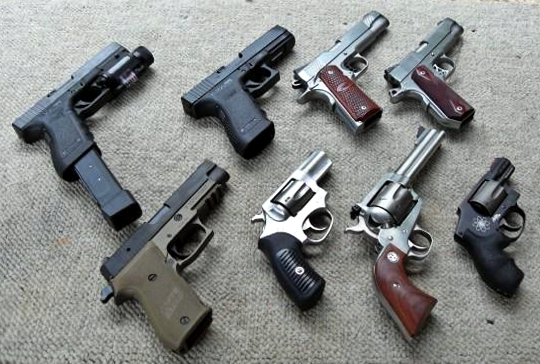 Pick the concealed carry system that will work for you EVERY day and stick with it. Active threats rarely stay still. As your skills develop you need to train with multiple targets and/or with moving targets. Want to increase your shooter skills for $1.28 per day, and get a box of tactical goodies every quarter? Check out Guardian Nation and get access to our complete Shooter Skills library, where Riley teaches you important, useful skills. If you hold still you make for a really easy target. Have you ever trained moving while shooting? 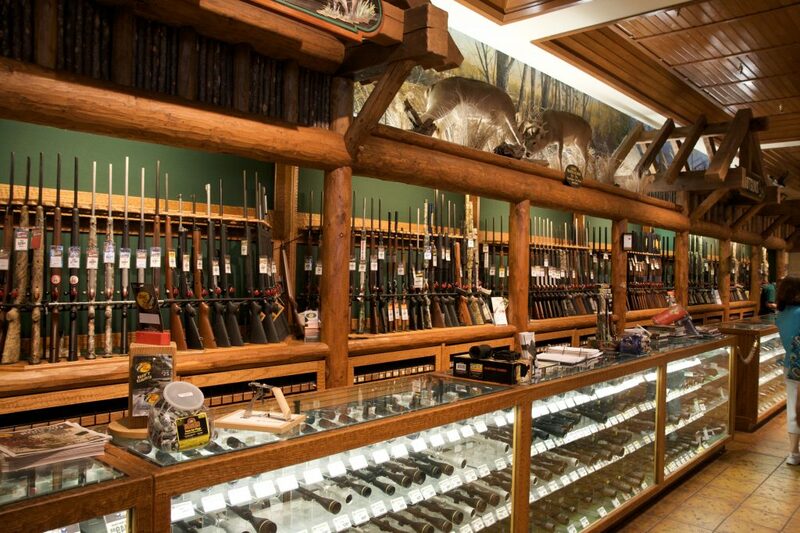 It is ok to be excited and proud of getting that new gun or permit … but keep it to yourself. 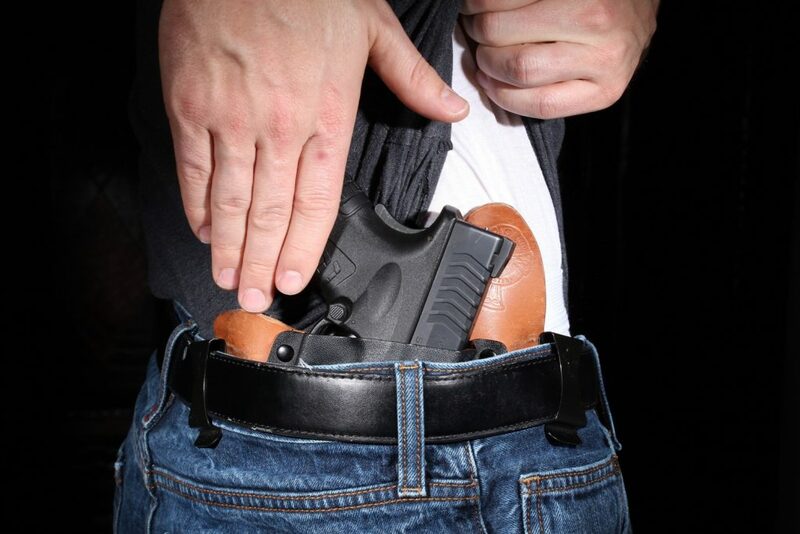 There is a tendency for new concealed carry holders to walk favoring their gun side. Catch yourself and STOP it. Just because that state honors your permit that doesn't mean their gun laws are the same. For those states that don't honor your permit its even more critical that you do some research. Grab your copy of the latest Traveler's Guide to Gun Law. Anything under $20 that can keep me out of jail is worth it in my book. I like a deal as much as the next person but since we are talking about life and death lets make sure every gun purchased is in optimal operating condition. If you have doubts about your ability to inspect it take someone with you who can. 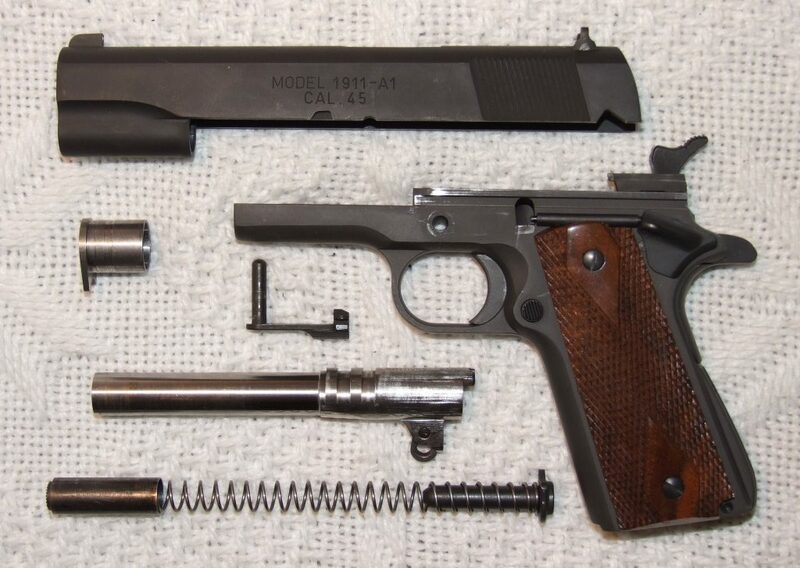 Your firearm won't operate at optimal levels if you don't take care of it. Make cleaning a habit that goes with shooting. Every time you fire the weapon clean it. 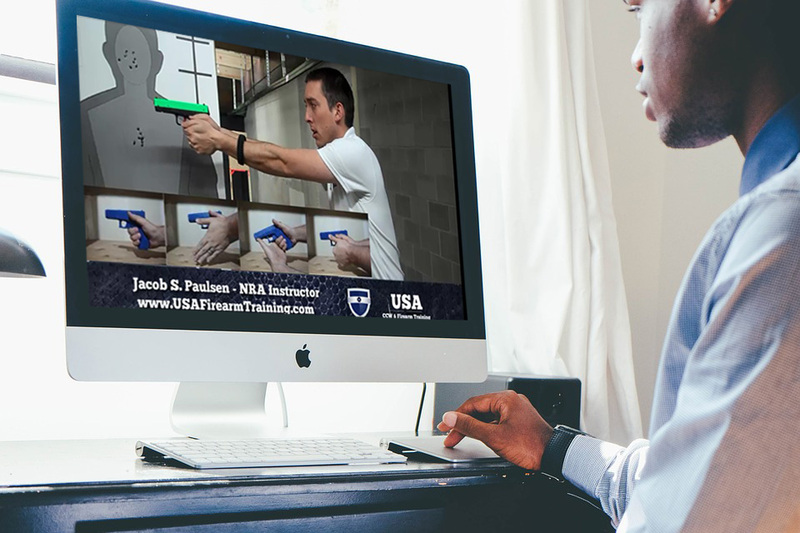 It will cut down on your range fees, make you more inclined to train often and help you rub shoulders with the smartest firearm people in your community. Someone might have told you Hollow Points were better but they are also expensive. 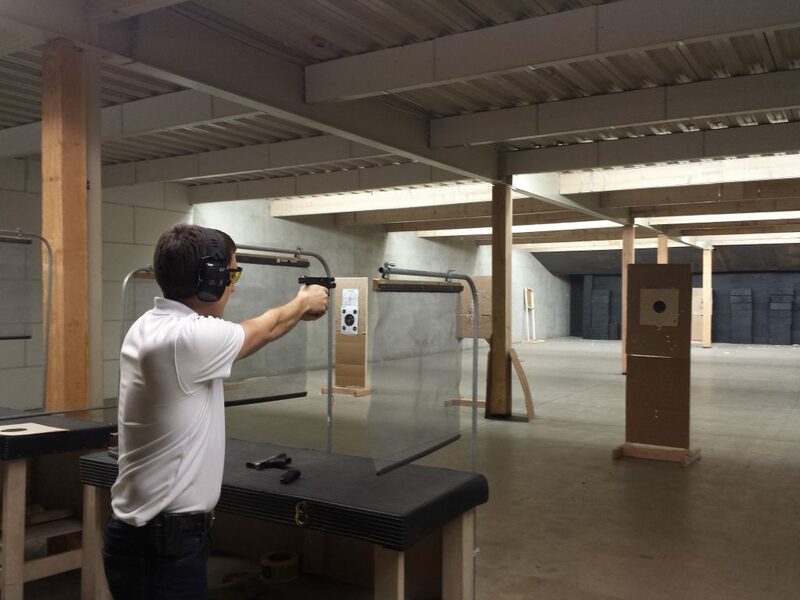 There is no harm in saving a little cash when you train at the range. But, training with only ball or target ammo is a mistake that can cost you your life, throw some of your carry ammo into the mix, as well. We probably missed some mistakes in there so please feel free to tell us some of the things you have found or learned on that we missed. 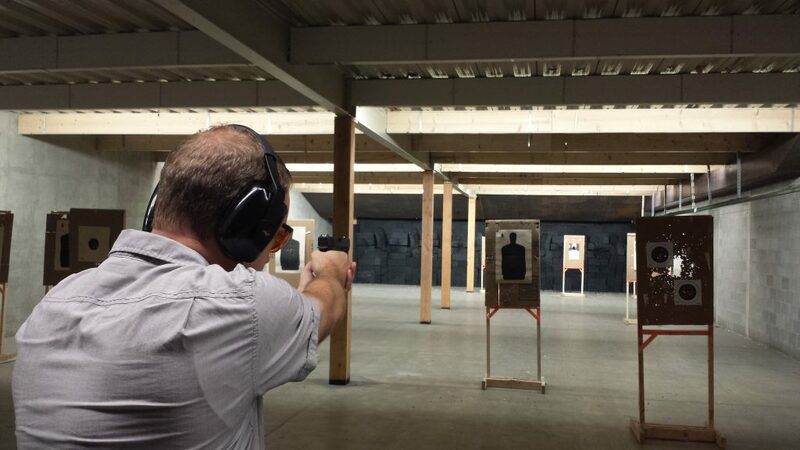 Want more posts about concealed carry and firearm training? 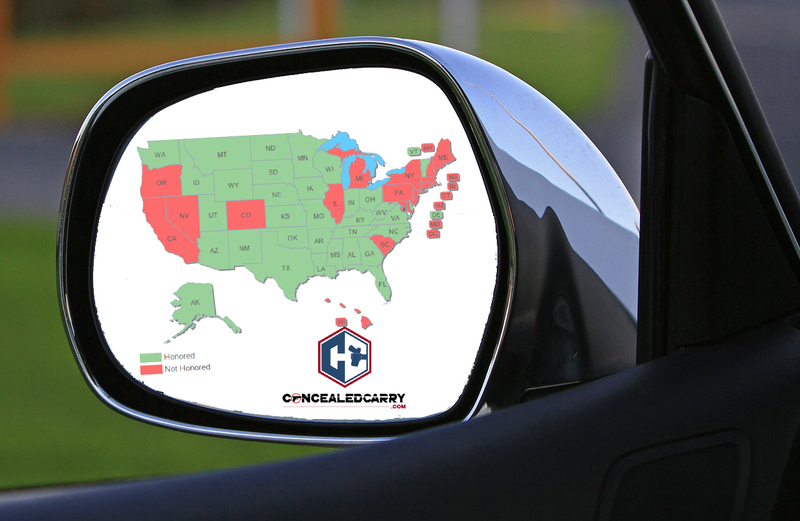 Be a member of our growing concealed carry community by setting up your free user account today! Great. The person that says he knows it all and has trained enough is a fool. I am 66 years old and learn some thing new every day and would have it no other way. I am with you brother , but I am 67 and I know what you mean ! ! ! ! This was a great article, the only problem I have w/ it is the training part living in Northern AZ (Flagstaff) it’s not possible to get out & shoot frequently during the winter. There aren’t any indoor ranges & all the roads leading into the forest are shut down. The answer I found is to buy a co2 pistol that looks similar to my carry weapon & practice w/ it. Like lonnie I too am 66 & learn something new everyday even though I’ve been carrying for almost forty years. Great input Bill. 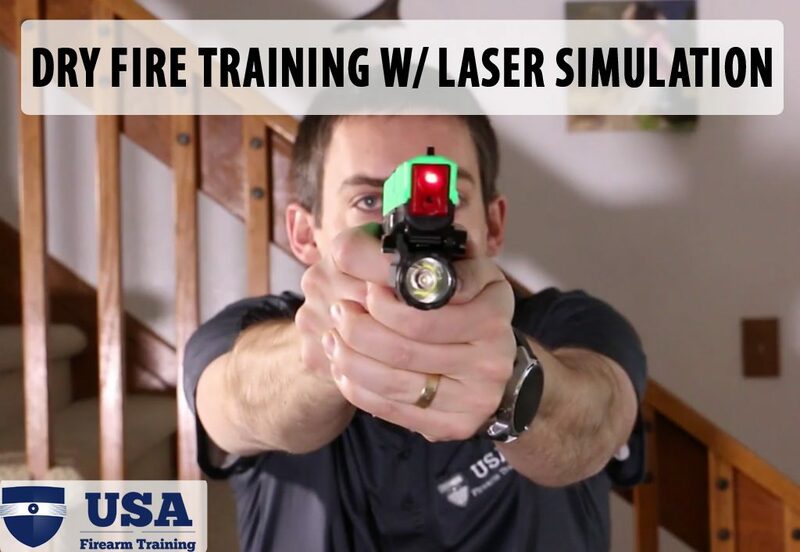 We are big fans of dry fire and laser simulated training! 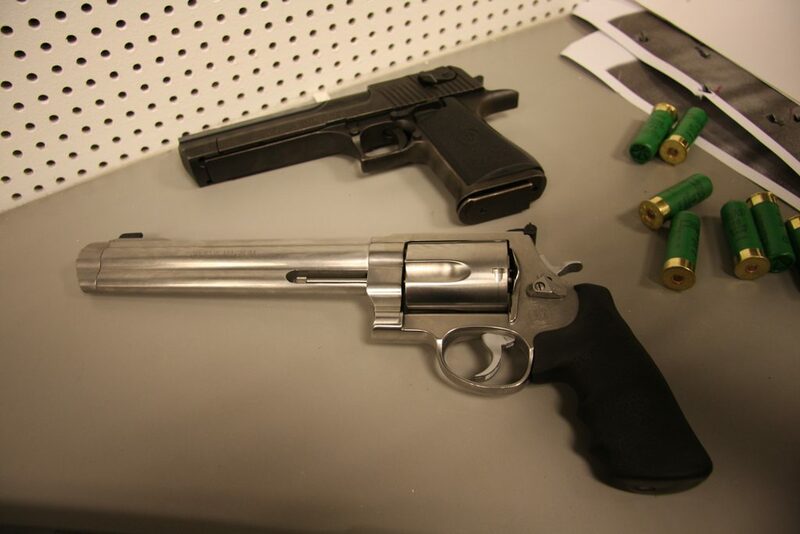 One might also consider indoor practice with an AirSoft type gun – actual firing with the slide reciprocating. Mine has the same feel and shape as my Glock 19, uses the same holster, and allows very inexpensive practice in my garage. Use several layers of cardboard and or a plywood backstop. Could also be an interior room, but cleaning up the plastic BBs can be a chore. AirSoft or AirSoft style guns come in many shapes and sizes, if you can find one the same or very similar to your carry gun it is excellent practice with your same carry rig. All gun safety rules apply – the projectiles can be lethal to small animals such as squirrels and penetrate the outer layer of flesh on a human. Tom, you can tape one thin peice of cardboard over an open box so when the B.B.’s go through the cardboard they get collected in the box. = easy clean up! I agree with you.I too am 66. I shoot some form of pistol competition every weekend I still watch other shooters and absorb their good points. Any person who thinks he has learned all there is to know,makes 1 big mistake. He has forgotten that he is a fool.! 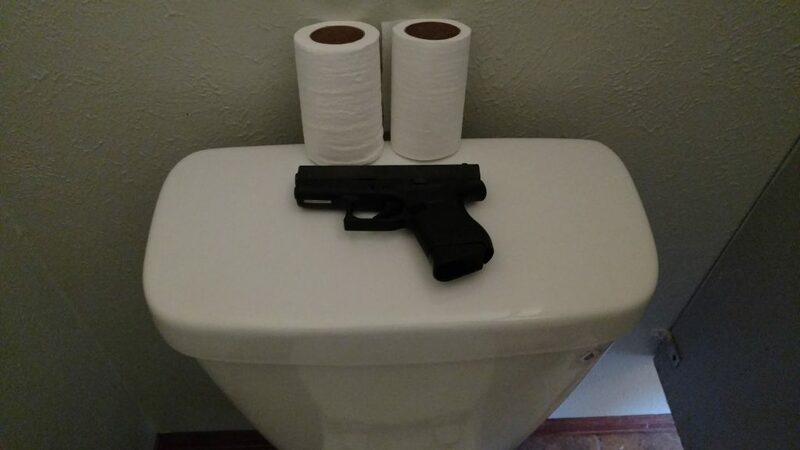 Jacob, this was probably the best overall “picture” of daily concealed carry I’ve ever read. Forwarded to a few folks who might benefit if they have open minds. If you have to practice at home, buy some “snap caps,” they’re inexpensive and reusable. I have them for every caliber I carry. Practice, Practice, PRACTICE!! Repetition is necessary for muscle memory, and at 70 I need repetition. i think practice is the most important thing you can do…I’m 68 and practice always..because ..if you can’t hit your target in a crisis situation…your the loser… Dry practice is a must.!! Getting the gun out and to get in the proper gun stance very quickly..and being able to hit your threat…could cost you your life. It only takes 1 mistake…and your crisis is gone…and so are you.. Excellent article, thank you. I’ve carried everyday for years, but some of the hints above made me think a bit. My GF is about to begin a CCW course in CT, and I’m saving this for her also. I’ll also take the NRA pistol course with her since I don’t believe I know it all. Air soft using a gas operated Glock 22 replica. Same weight, training 3 to 10 feet. 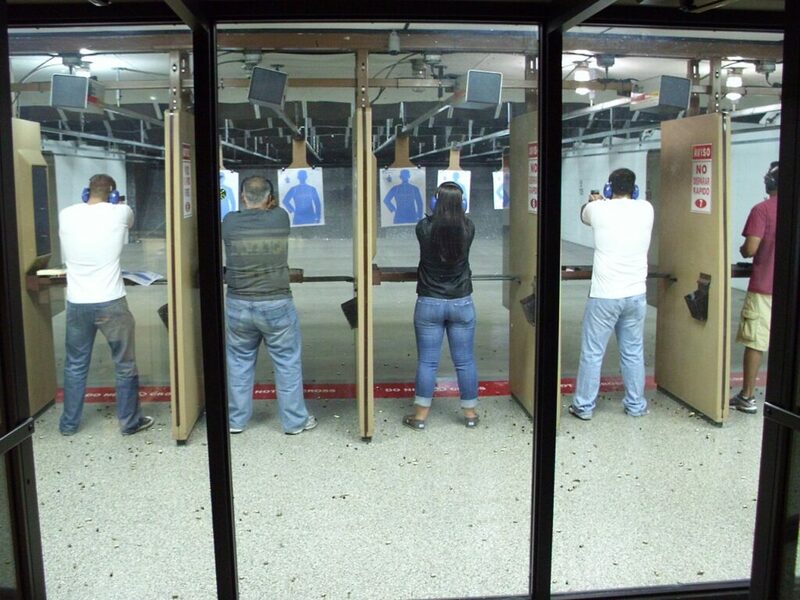 different targets at different angles and distances standing, kneeling, sitting, both on the ground/floor and on a chair. Laying on my back and on my belly,& kneeling. Great practice and cheap. Draw and shoot practice from concealed carry position and practice pulling up shirt or jacket if in cold weather scenario. if you don’t practice these, you won’t be able to gain the muscle memory. Practice often, not 2 or 3 times a month. at least every other day if not more often. ABSOLUTELY thorough, and highly & well detailed, and specific! I’ll be forwarding this to ALL who I feel NEED this counsel. AND, of course, I’ll be applying as much as possible, in my circumstances, (we live in large URBAN center, and I can’t afford the “Range costs”, and there’s no “open area” for life fire practice, so “dry fire’ will have to do for now. But! THANKS A MILLION for this VERY THOROUGHLY WELL DONE CLASS! Practice with weak side. A lot of injuries incurred in armed situations result in hand and arm wounds. So try and become proficient as much as possible with both hands, it may save your life. 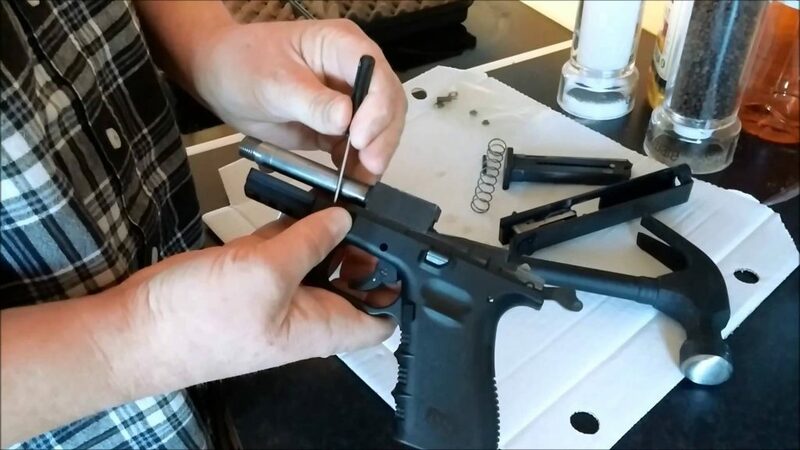 Also look at installing rear sights on your semiauto’s that will allow you to rack them with a solid object just incase you lose the use of one hand. Also include some form of illumination in your carry kit with backup batteries, and a pocket sized trauma kit would be ideal too. Wow!, Very smart thinking and thanks. I thought these were all pretty good things to be aware of. Some of these mistakes are pretty obvious, but hey, everyone is forgetful. There is a lot about carrying properly, and for me, I’ve always wanted to carry but don’t know where to put it. I admit, my pants are too tight to hide a gun anywhere. There was also a lot of emphasis on practice. The real situation is going to be a lot more stressful than practicing, so I thought the tip of developing muscle memory was really good. Thanks for the info! Great article. This should be a checklist for all of us no matter how long we’ve been shooting/carrying. Carrying a gun every day sets us apart from the vast majority of people in America and deserves a lot of consideration and practice. How do you “Keep it to yourself” and join a gun club?? I definitely don’t post photos on social media showing off my gun, but at the same time I feel as if I should be able to trust my friends and relatives enough to talk to them about it. They are all way, way more informed than I am and if I couldn’t talk to them, I would learn nothing! Maybe I am misunderstanding the “Keep it to yourself” rule? Sarah, good point. The rule begs more clarity. I guess the point is to exercise discretion. 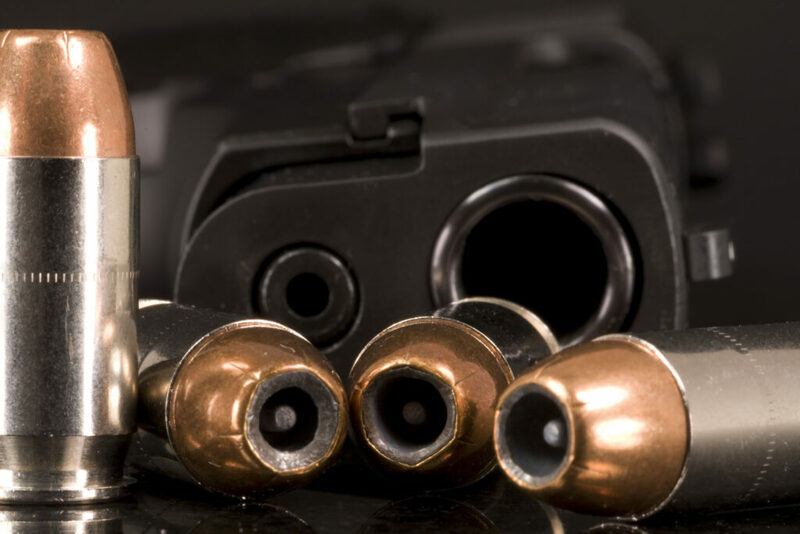 Data suggests that gun owners are often targeted for theft and home burglaries and often the intruder is a friend who knows about the firearms. So discretion is important to determine with whom to share information about gun ownership. You bring up a good point, that we should encourage conversation and joint learning with the right people in the right environments! I am guessing that if you say something to a friend, it isn’t long before others know your packing. Especially in a small town. Then someone who doesn’t like you can claim that you threaten them with a gun. The police will show up and ask if you have a gun. They know that you have a permit. They can look that up? If you lie to the police, you have broken the law. Mind you, the police can lie to you without breaking any laws. It is best to plead the fifth, and get legal counsel at that point. Don’t answer any questions. I think the less people know about your ccw , the better you are. Kudos to all of you folks who thought of putting this together. 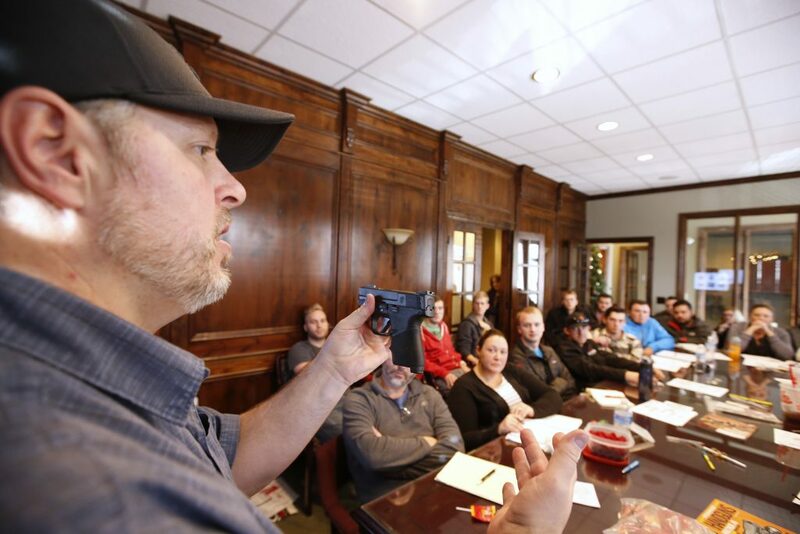 Very educational and provides a miriad of information from novice to experienced gun owners. Keep on sending articles as such. Even the basic gun safety procedures and handling at home and on the streets are important and can save our lives. 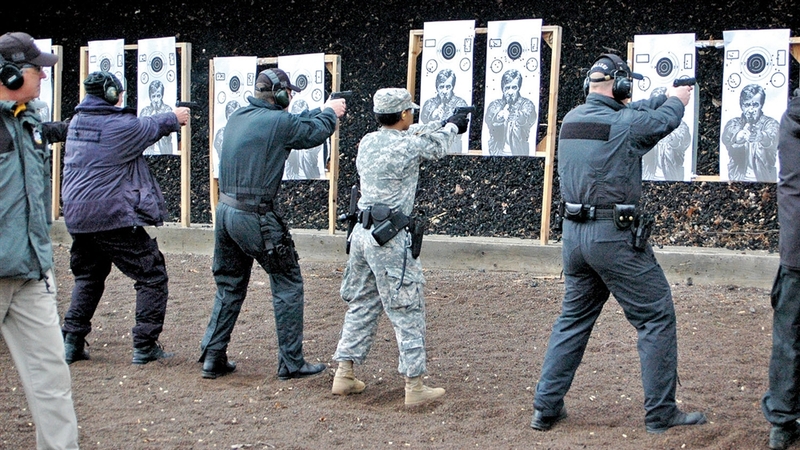 Practice, train, and weapon familiarization is vital to all gun owners. Thank you for all of you who thought of sharing this information, keep us informed and educated, it will come handy when we least expected it. Thanks Bobby, comments like yours help us keep going! More power to you brother! Keep up the fantastic work that you are doing. Stay safe and keep us informed on what’s the latest in the firearm and weapons handling and tactics. If I could make one suggestion on the training end. 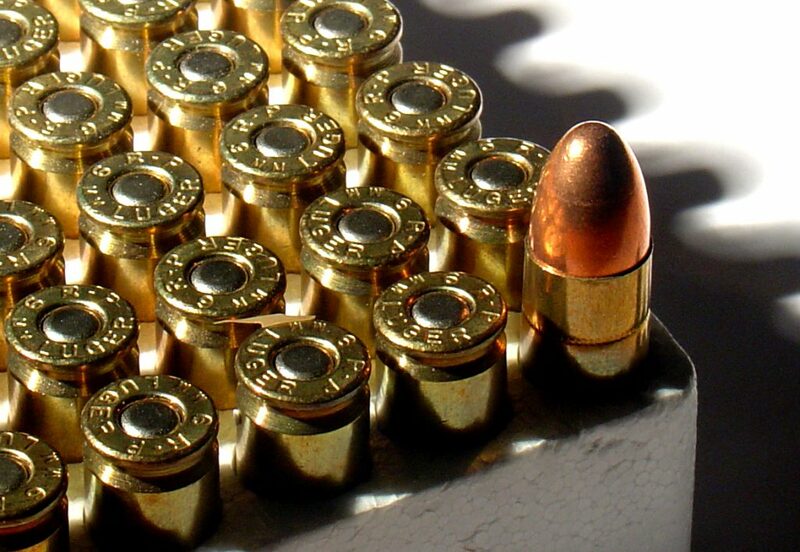 As far as training with the ammo that you intend to carry. You don’t need to use your expensive carry rounds but I find it very helpful to try to use the same “weight” ammo. 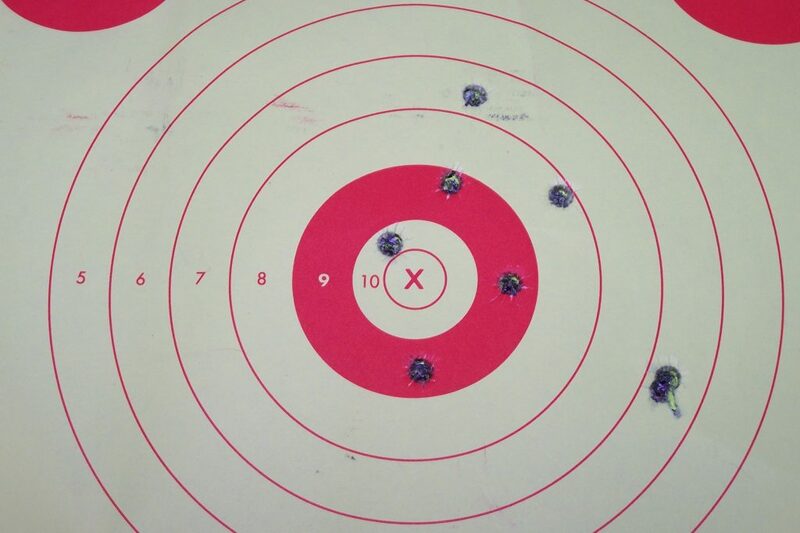 My 9mm subcompact reacts VERY differently shooting 115gr than it does shooting 147gr ammo. 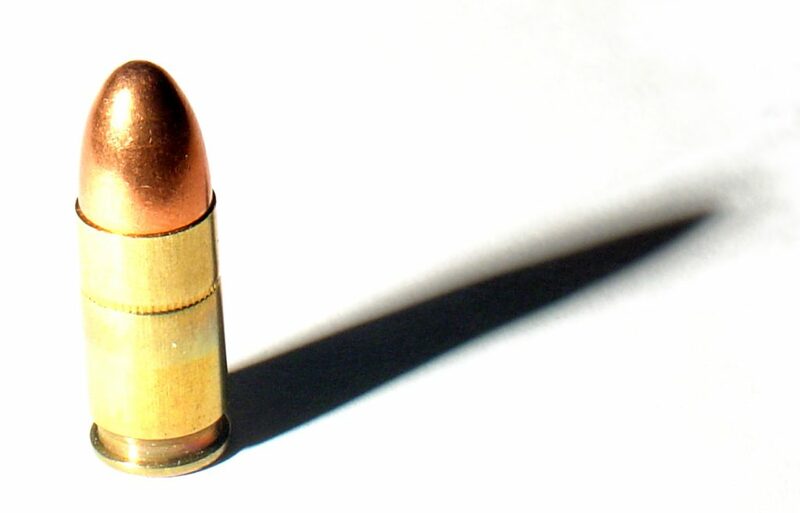 I carry 147gr hollow points but practice with 147gr fmj and the response is pretty much the same for both rounds and of course the fmj is much, much cheaper than the carry rounds. Some pistols I’ve noticed very little difference in the different rounds but my carry pistol of choice there is a world of difference. 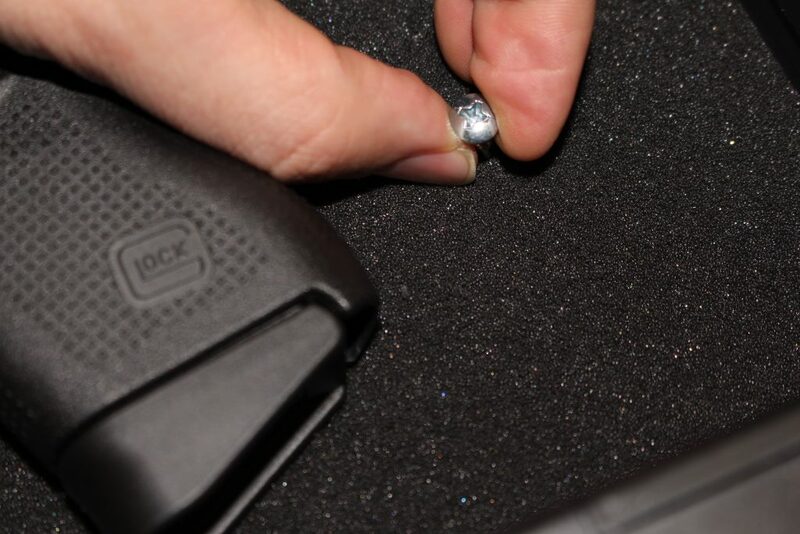 Another note, if you do intend to practice with hollow points make sure your range can accommodate. Some backstops aren’t capable of absorbing the frags and you can be in for some pretty nasty RTS surprises. I have just discovered the Concealed Carry blog after ordering the Brave Response Holster. It is the only blog that I have read to the last comment. These are the most practical blogs I have read, also gaining information from the comments, which all seem to be adding to the main blog, not just criticizing. I noted that you are a lifetime member of Front Sight. May 15 I will be making the journey to Pahrump with my two adult sons (55 & 57) This will be the sixth trip for me. I have only five years experience with hand guns and I am a true believer of training and practice. 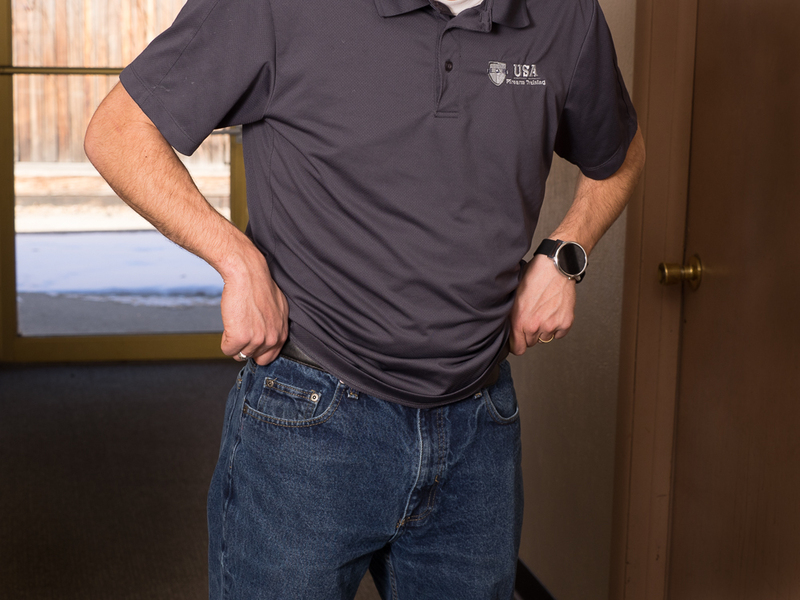 I’m also a member of the Stillwater Firearms Association, one of the largest gun clubs in Nevada, and I try to get to the range as often as possible. I am anxiously awaiting the arrival of the holster! Thanks for the great informational blogs. 79 and still learning. If I quit learning; I quit carrying/shooting as then I become dangerous to myself as well as others. Dont carry a gun without a holster that protects the trigger. 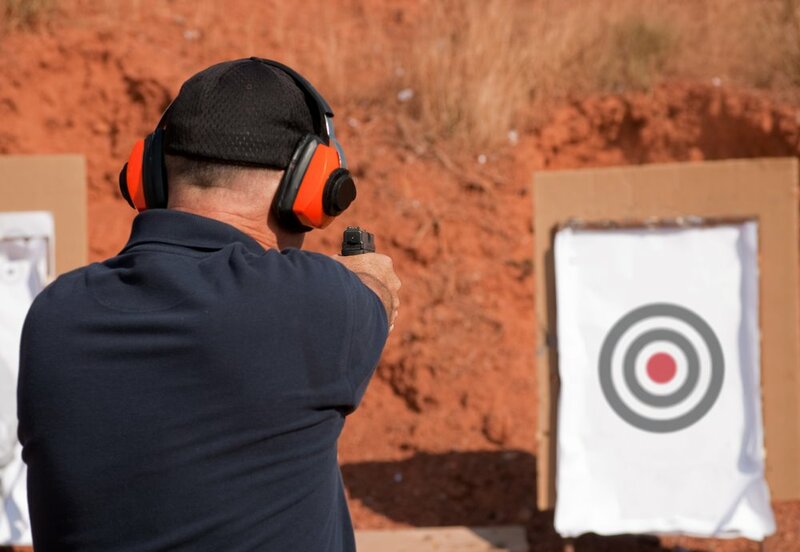 Practice not placing your finger on trigger until your on target. Good list … I could argue a point or two (such as cleaning your gun every time you shoot), but for newbies and old sharp eyes, its a good refresher list. Thanks for putting it together! For some fun indoor practice here’s a trick I learned in the 70s. If you reload and shoot revolvers ( will work in autos also but you need to load one round at a time) de-prime your brass and resize them. Then lay a 1/2 in thick block of canning paraffin on the table and press the empty cartridge all the way through. When you pull it back out it will have a nice tight fitting wax plug in it. Then prime the brass (no powder) and shoot away. They work quite well and are fun to shoot. Very safe for the basement or garage, they won’t penetrate a blanket backstop so you can pin targets on it, hang it on the garage wall and have some fun. They are pretty accurate at 10 feet and make no more noise than a cap gun so you can shoot them even if you live in town. You may want to crack a window or door for ventilation. Using this method you can practice with your actual carry gun and unlike dry firing, you can still make a little noise and send a projectile down range. Have fun and stay safe. Hi. I have a question as a total newbie and female. 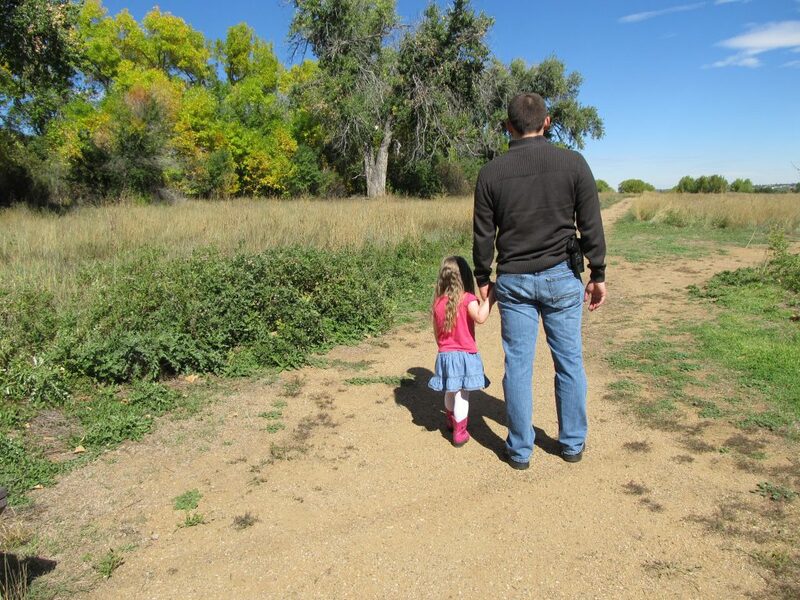 I grew up around guns, but my dad was always the one to carry so I missed my chance to learn much. Now, I have bought my own first gun, but I am really struggling to find the right holster for it. I know it says to get a good one and stick with it and to also value the gun over fashion, but I find that a little impractical for a woman in a business office. Does anyone have any advice on good articles for cc for women? I have been scouring the Internet and it seems that everything either advises some frilly, crappy holser or buying new clothing. Neither of which works for me right at the moment. Hey Sarah, thanks for the question. First, you are not alone. Second, you are 100% spot on with everything you pointed out. Fortunately, manufacturers are noticing that women are the fastest growing demographic of gun owners, and responding with women-specific gear. A brand new wardrobe is probably unrealistic for most everyone so making your gun work with your current clothing is the priority. I would first ask how you currently carry, and if you like it there? For example, are you carrying small of the back, strongside hip, appendix etc? That will help dictate which holster may work best for you. 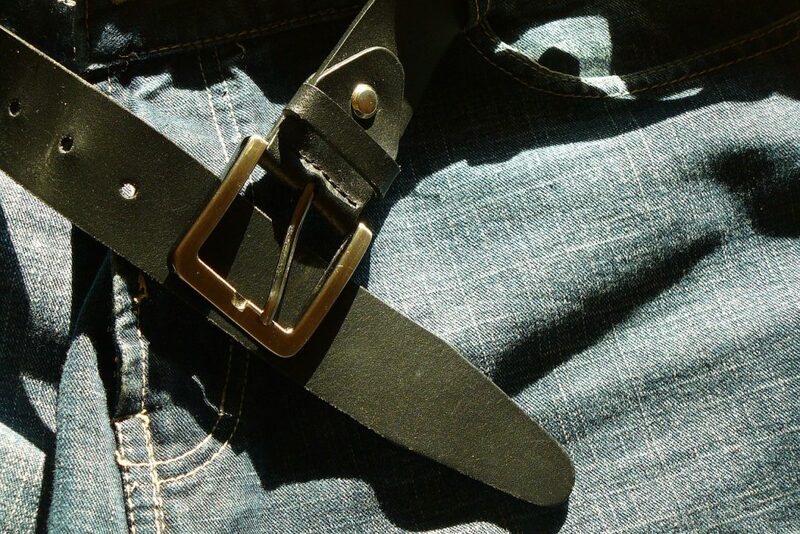 I imagine most of your business attire consists of slacks, skirts and dresses that don’t use a belt. This is the issue with most women’s dress clothing. A general answer for you, and some products you could look at is 1) ulti-clip: if you have a holster you like but it requires a belt. You can switch out the belt clip for the ulti-clip and attach it to your clothing. Another option would be to look for a belly band. I found really nice quality ones from Falco. 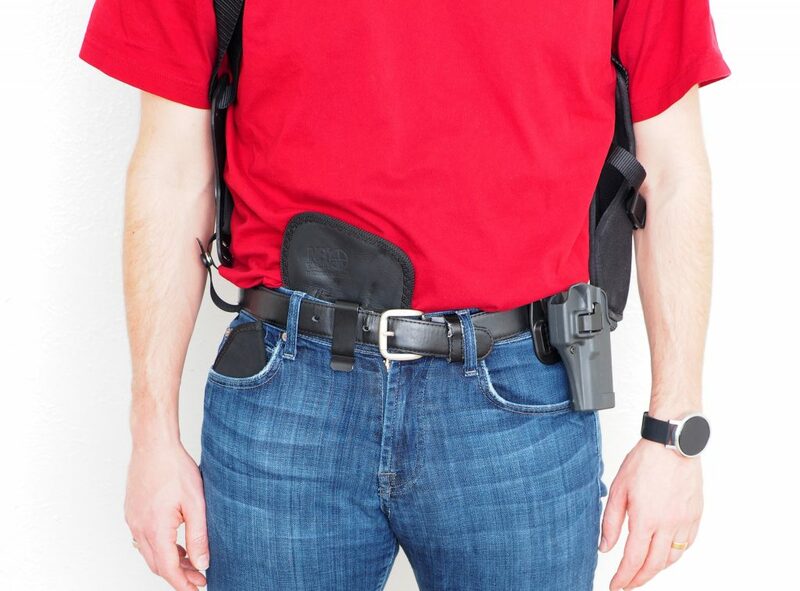 You may also find in some clothing a tuckable holster works well. 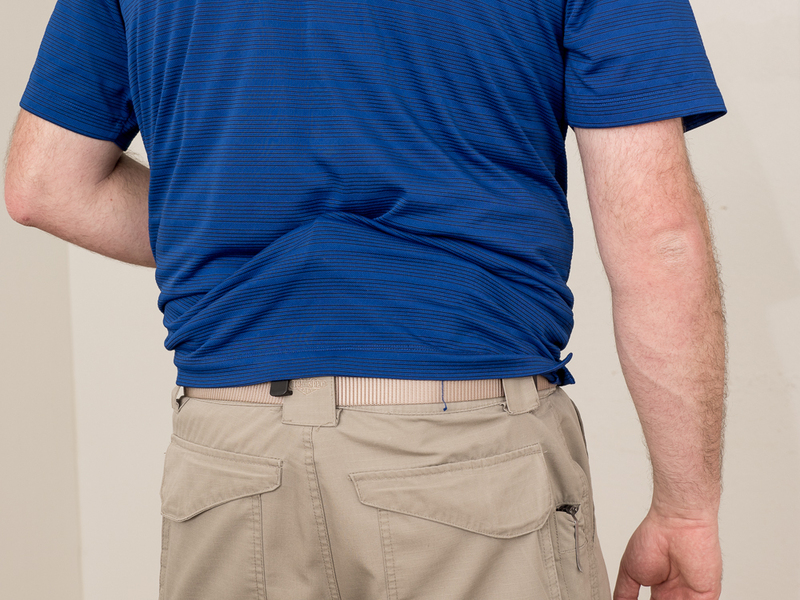 Since women typically wear more form-fitting clothing the tuckable holsters can work well. Also, you could check out a magnetic retention holster like the ones from JM4 Tactical. I learned a lesson the hard way. I don’t care how well someone says they know and have used handguns, never hand a loaded handgun to anyone! Drop the magazine clear the chamber check for Clear then handed to him. I had an elderly gentleman in my office who asked to see it and the first thing he did was chamber around and in trying to figure out what was going on he had taken the safety off! Next thing I know he’s waving it around trying to figure out how it works. I gently reached over and grabbed it muzzle down, drop the magazine cleared the weapon and put it back in my holster. I will never do that again, I don’t care how much experience someone says they have! It shed light in several things that I would not have thought about. Thank you for this very informative article. This has been very helpful to me. 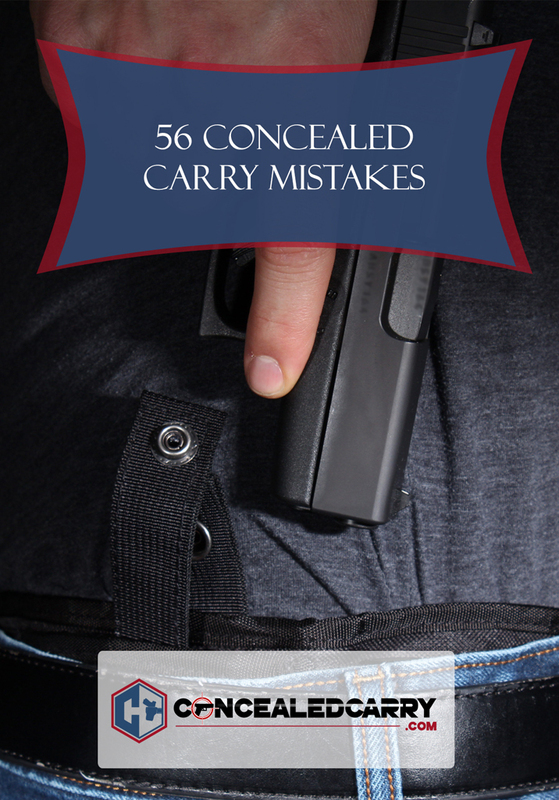 #58 and a very important one that you left out is never carry your weapon in your waistband unsecured. First of all great great job on this, it’s short and sweet but enough to get the right wheels spinning if you have an open mind. I know that not ever time you stop your vehicle can do you have the opportunity to just drive away. With that in mind I often practice dry fire in a secluded place from my vehicle and I’m sure there’s a lot of people that would be suprised how clumsy thay are at trying this, even after a few times. For one, keep in mind you most likely won’t be able to pull your weapon all the way to the stance you’re used to practicing at. For two,if you can’t pull it off in under 3 seconds…practice abandoning it and putting your hands up, or practice until you get it!